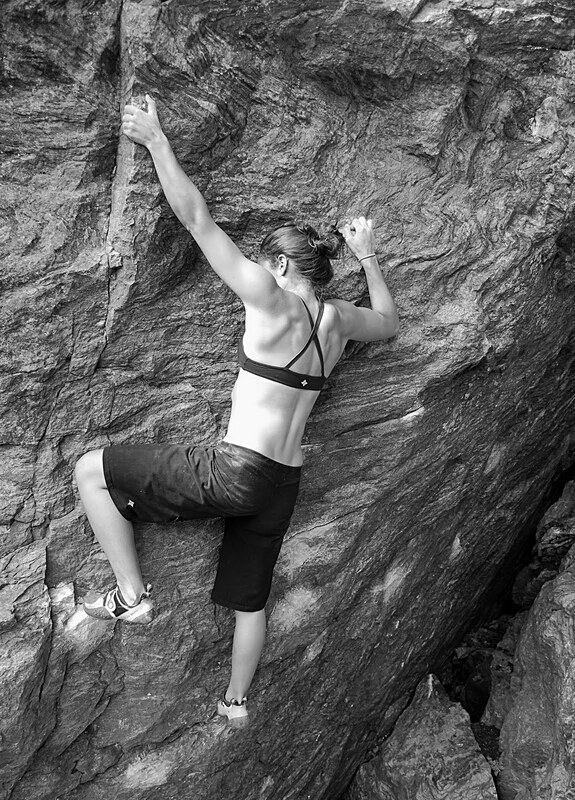 As the summer winds down, I have been trying to catch up with bouldering in RMNP. The weather has been very difficult recently with virtually every afternoon offering a soaking rain that effectively shuts down the rest of the day. On one recent visit I did no climbing at all, thanks to wet holds and volatile weather. The photo above is a view looking into Upper Upper Chaos, named by Jon Glassberg as Super Chaos. It was taken from the vicinity of the Green 45 boulder, home of the remarkable Jade, V14. On my most recent visit, I did a few of the moderates in Lower Chaos, including a flash of Potato Chip SDS V8 and Geeks of the Industry V7. This formation is a popular warm-up spot and I met up with some nice folks here. Potato Chip was a bit scary actually to do, especially as you can check out all the moves from the ledge nearby, giving a false sense of security. What actually helped most, besides a good spot, was a few test jumps down to the pads below the problem giving at least the feeling that a fall would end up OK. We actually saw a woman come off and nearly slide off the edge. Only a solid grab from the spotter prevented it. After this, we went over to the boulder just a few yards away where Geeks of the Industry is located. This is a great little problem on amazing rock. I had tried this about two years ago on a very bad day and never finished it. Today it went first try, going a bit more direct than the regular line I think. After this a bit of time was spent trying Secret Splendour but again with the rain, the session was shut down. It's been good meeting up with Dan Beall, a very talented young climber from California, and his friend Tim. The perspectives of people from out-of-town is always valuable and Dan's own turf of Bishop is of course amazing. I can't wait to go back there. Geeks of the Industry V7 from peter beal on Vimeo. So why the word "riddle"? For Park aficionados, the pun is instantly recognizable of course. However there is a deeper meaning. It is to say that the Park is variable in all its aspects. Grades are literally all over the map. Rock types seem to change from problem to problem and even move to move. Holds and body positions never cease to surprise me. The weather of course is notorious and the elevation has sent more than one boulderer back down with altitude sickness. The landings are almost always a problem, adding a curious kind of difficulty in its own right. Some people seem to fit right into it. Not me. 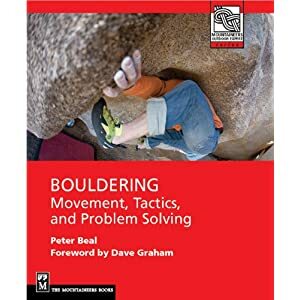 I am still finding my way around and I have a suspicion that even with a new guidebook on the way, others will experience the same feeling, especially if they try to get on harder problems and explore their abilities as boulderers.